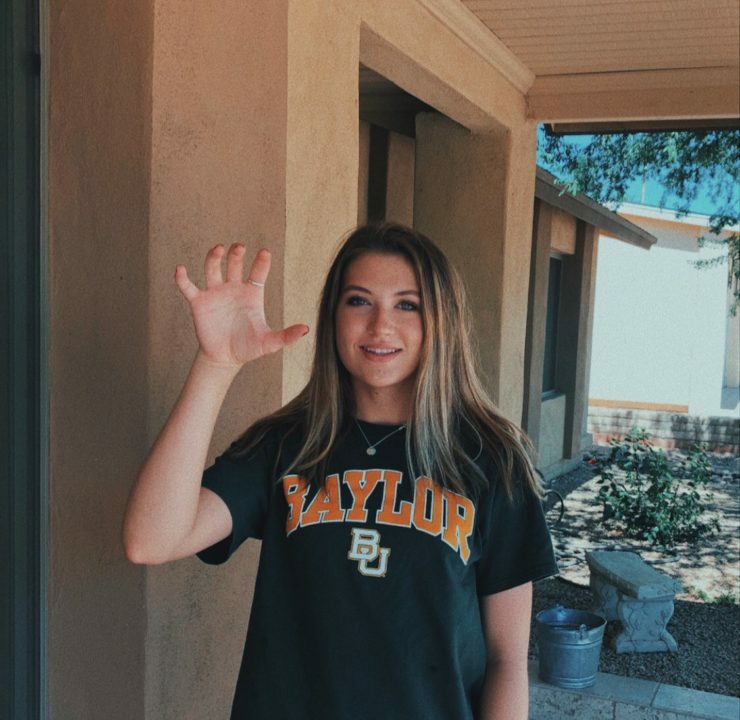 High School class of 2021 setter Molly Kipp from the Arizona Storm Volleyball Club and Northwest Christian High School in Phoenix has verbally committed to Baylor. In her first season of varsity volleyball, she started at setter and had 78 kills, a .276 hitting percentage, 23 blocks, and 112 assists in 86 sets played. She was mostly a front-row hitter for Northwest Christian in her freshman season. The school runs a two-setter offense, with senior Roth McKenna and fellow freshman Emma Harmeyer splitting the setting duties for the team last season. Harmeyer was honorable mention all-conference last year. For her club team, though, Kipp plays setter, currently a member of ASVC’s top 15s team the Thunder. The club is currently playing at the USA Volleyball Girls Junior National Championships, where they lost 2-0 to Tstreet 15-Curtis in the 15 Open silver playoff bracket. The club is co-head coached by Ari Smith and Terri Spann. That team is loaded with top-25 Division I talent. Also committing already from the ASVC 15 Thunder team is Reagan Hope, a 6’2″ middle blocker/outside hitter headed to Oregon; and libero/defensive specialist Katie McCarthy, who is headed to UCLA. Baylor finished last season with a 24-7 record and swept Miami (Ohio) in the opening round of the NCAA tournament before losing to Colorado at home in the 2nd round by the opposite score.